Add chicken if you want, but these bowls pack plenty of protein with black beans alone. Serve with cooked rice or tossed with lettuce or fresh spinach as a salad. Paleo: Omit black beans and corn (or swap for more bell peppers). Substitute rice for cauliflower rice. Whisk dressing ingredients in small bowl. Set aside. 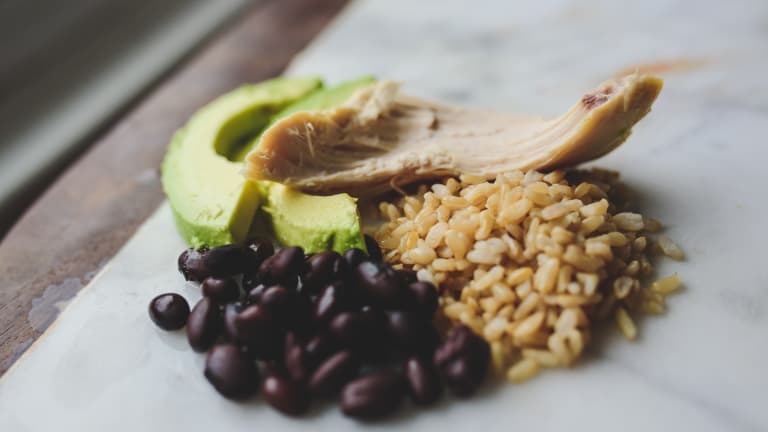 Arrange chicken, corn, chopped pepper, black beans, and avocado over rice in single-serving bowls. Drizzle with dressing and top with fresh cilantro.